Though it may seem as if law firm marketing has changed dramatically since much of the world turned digital, this is not exactly the case. Now more than ever, client relationships are at the centre of a quality law firm marketing strategy. Though the focus might be the same, the tools law firms should be using to attract new clients has changed. Did you know 96% of potential clients look for legal help via online search before ever actually contacting a firm? Taking advantage of simple digital marketing techniques positions your business to better capture these potential clients, or leads, and convert them to paying clients. It is these techniques that this post will focus on. Particularly, around building an online presence, creating trust in your brand and positioning your firm as THE industry expert in your field. 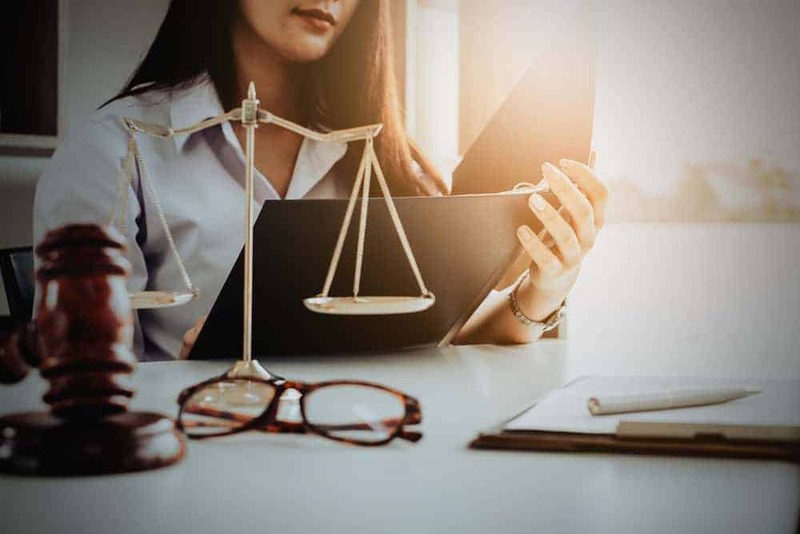 Before we get started on the more technical aspects of SEO and content marketing, let’s first explore what digital marketing for law firms is and what it actually encompasses. Digital marketing is an overarching term for all of the online marketing efforts a business or individual undertakes. This includes leveraging social media platforms and other online channels such as direct email marketing and Google search. Any online effort you undertake to connect with your current and prospective clients is considered digital marketing. The reality is, now more than ever, people are spending more and more time online. If fact, we are now spending twice as much time online as we did 12 years ago. Our transition to ‘all online all the time’ has truly altered not only the way people communicate but also how, when and where they shop. While there is still merit to traditional marketing techniques in your local area, no audience is more willing and receptive than those who are already seeking out your services online. While marketing has always been about connecting a business with their target audience, today, this really means that you need to position relevant and quality content where your audience hangs out online. We take a comprehensive approach to mapping out the client’s keywords to discover the journey that the audience is on. Someone in the awareness stage may not be ready to become your customer just yet but they want to know about local laws and what rights they may have. In this instance an article on your website covering local laws and how they impact residents may help this reader with their problem. The other end of the scale your consideration stage is where people are looking for an attorney and doing some research before they make a call to appoint an attorney, you could have paid advertising that drives these people to the right page on your website where they will find enough information to make the call to become a paying customer. Keyword maps are very useful when creating content and creating advertising campaigns. Targeting people in the correct stage of the buyer journey is what online marketing should be about. Law firm digital marketing strategies are continually changing to better assist lawyers and their firms to excite and engage their target audiences and this all begins with your website. As with any business, to be profitable, a law firm needs to stand out online if they are to compete in their industry, especially because the majority of your new business will now be derived from local clients searching for legal help in their area. If nearly all new clients who are looking for your services online, it stands to reason that your website must serve as the bedrock of your internet marketing strategy. Your website is where you provide all of the vital information about the services you offer, in addition to being the platform where you will be posting high-quality content that solves the problems and pain points of your target audience. With over 3.5 billion daily searches on Google, ranking your websites in their search engine results pages (SERPs) is the most valuable way to attract clients to your law firm. This is especially pertinent considering that by the time potential clients reach your site, a whopping 74% of them have completed their research and are ready to take action. The beauty of marketing in the legal sphere is that very few members of your audience are browsing law firms for fun. No one window shops lawyers in the hope that one day they can have their very own. Customers who have made it to your website have a problem and expect you to be able to solve it. The downside is that pretty much every law firm out there already knows this. In fact, the legal space is one of the most competitive niches in the SEO industry, attracting digital marketing agencies dedicated only to this particular market vertical. Your competitors are already investing heavily in their website and their SEO practices. The purpose of this post is to show you some of the small tweaks you can do yourself that can greatly improve your rankings and client engagement without the need for huge financial investments. As we move through this next section, some basic SEO knowledge is assumed, such as knowing how to keyword research for your niche. If you’re unfamiliar with keyword research, here’s an in-depth guide to get you started. If you have created your own website, it is more than likely that you are a using a WordPress backend to publish your pages and blog posts. One of the great features of WordPress is the ability to use free SEO plugins such as the SEO Framework to guide you through the process. Make your keywords the focus and KISS (Keep it Simple..Seriously). Your H1 is page title and needs to accurately describe what is on your page while also accommodating your keywords. This is in fact the most simple and most important thing to do correctly. Search engines crawl sites to see exactly what their content is about. How is this done? By scanning your title/header tags. The H1 is the most important element on your page to tell Google what your page is actually about and if it will be relevant to a searcher’s queries. This section could easily be explored in half a dozen blog posts and has been covered all over the internet. So for brevity, here is the ultimate guide to content SEO. Your meta description is the section of content you see showcased before a link in the SERPs. It showcases what your content is about and is what inevitably gets your potential client to click. When writing your meta description consider that you have approximately 160 characters to compel a searcher to open your content rather than that of the law firm ranked below or above you. Here the goal is to nab a reader by showing them you have the solution they are looking for while also naturally mentioning your keywords. One of the most common website fails of 2018 is not investing in responsive design for your website. 51% of smartphone users discover new companies in their local area when conducting a search on their smartphone. If your next client is sitting in a coffee shop with a friend trying to decide whether or not to get legal advice, you want them to be able to find you when they start tapping through their phone. This brings us to local SEO: making it easier for your leads to find you in their area. While it is wonderful to see your content ranking in your country’s SERPs, unless you offer client services over Skype, the most valuable leads for your firm are going to be in your neighbourhood. This is why it is important to take action to make sure your site is optimised for local search too. Google My Business (GMB) is likely THE most important player in your local SEO strategy. Here, when a customer searches for “lawyers near George Street, Sydney” Google will not only display the list of law firms as results but will also show their addresses, trading hours, phone number and customer reviews, allowing a lead to decide on the law firm they will contact all in one screen. A lead could easily choose your competitor next door without ever having visited your website. However, the good news is that the reverse is also true. GMB is so important in fact, that local searches saw 50% of mobile visitors visit the store or business they found within one day. While you’re setting this up, also be sure to setup your Google+ Business page. You will be sent a postcard in the mail with your verification code printed on it. Verify your business with this code as soon as you get it as you will not be seen in localised search until it’s done. Having good customer reviews show up in Google SERPs not only helps your firm’s website to rank higher in local searches, but they also convert better than no reviews at all. This detailed guide on improving your business reputation and getting online reviews will walk you through the process. Though probably the most labour intensive and boring part of local SEO is getting online citations and directory listings. These are your business profiles listed on directory websites such as Yellow Pages, Yelp and Local Search. Though seldom used by searchers, don’t underestimate their value. These citations tell Google that your business is tied to a physical location and improve your chances of appearing in local searches for your services. Though it may seem counterintuitive, the best form of internet marketing that exists actually draws your best potential client to you, rather than you having to go looking for them. This digital marketing strategy is known as Content Marketing or Inbound Marketing and involves creating meaningful content through your blog that adds value to the lives of your clients without asking for anything in return. By providing free answers to the pain points your clients have, not only do you free up your phone and inbox from the same questions time and time again, but you also build trust with your audience. The other key benefit of this strategy is that it builds your brand authority and positions your firm as the thought leaders in your industry. This also positions you to offer expert opinion in your local newspaper and gain press for your firm through regular mentions in the stories the residents of your community read every day. Show your clients that you know what they are going through and that you are the firm best positioned, not to solve their problems for them, but to make them the heroes of their own lives by simply providing the tools they need to better their own situations. If you can do this with your blog posts, you will already be miles ahead of your competition. When it comes to digital marketing for law firms, the goal should still be to develop long-term client relationships. Achieve this with digital marketing techniques that focus on attracting the right leads from the outset with engaging content, that build their trust I your brand and positions your firm as the industry experts they’ve been looking for. Then be sure to optimise this content so that it can be found easily by those leads who are ready to act. Be available in local search so that your clients can find you and most of all, create engaging content that reaches out to your audience, converting them from.